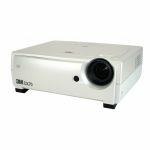 The VPL-EX70 projector has been designed to be both simple to use and to deliver high picture quality and brightness. 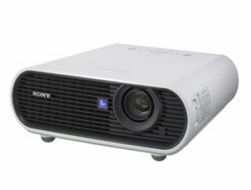 This model incorporates Sony’s innovative BrightEra technology which produces higher brightness, colour accuracy and increased reliability. 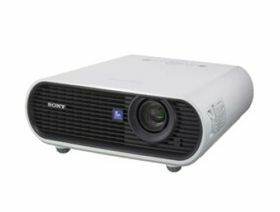 It has a Colour Light Output of 2600 lumens and a contrast of 900:1. This level of brightness coupled with excellent picture quality in XGA (1024 x 768) resolution, allows users to deliver bright and colourful presentations in a variety of lighting conditions. 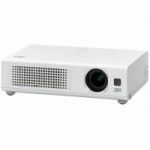 Weighing approximately 3kg, the stylish, practical design of this projector includes a built-in tilt angle of 8° that automatically produces perfectly proportioned images. 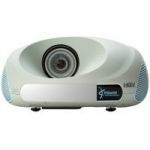 Height adjustment and controls are simple to use and easy to access making the VPL-EX70 an ideal projector for professional presentations in schools, universities and corporate environments.